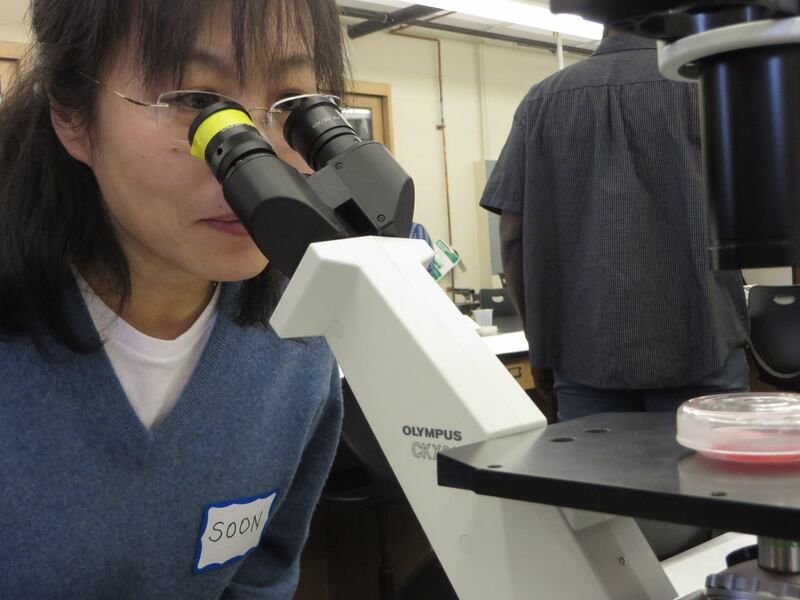 The goal of our outreach programs is to enable members of the community to have access to the microscope technology and expertise of the Center for Microscopy and Imaging here at Smith. Suzanne shows a student how to adjust the microscope stage. The Literacy Project-Northampton is visiting Smith College on December 1st, 2016. 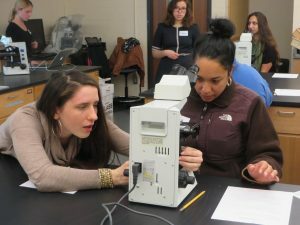 A student takes a look at HeLa cells on an inverted light microscope. 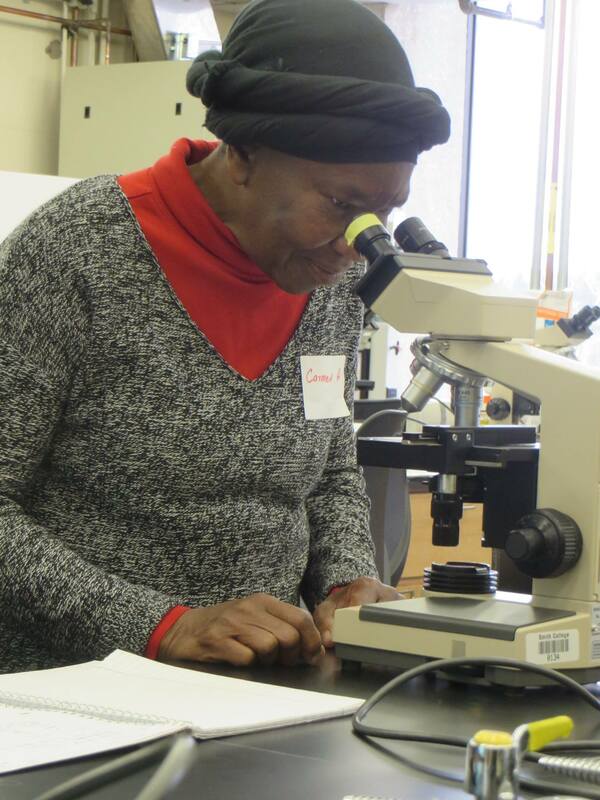 The Literacy Project-Amherst returned to Smith College on April 7th, 2016. 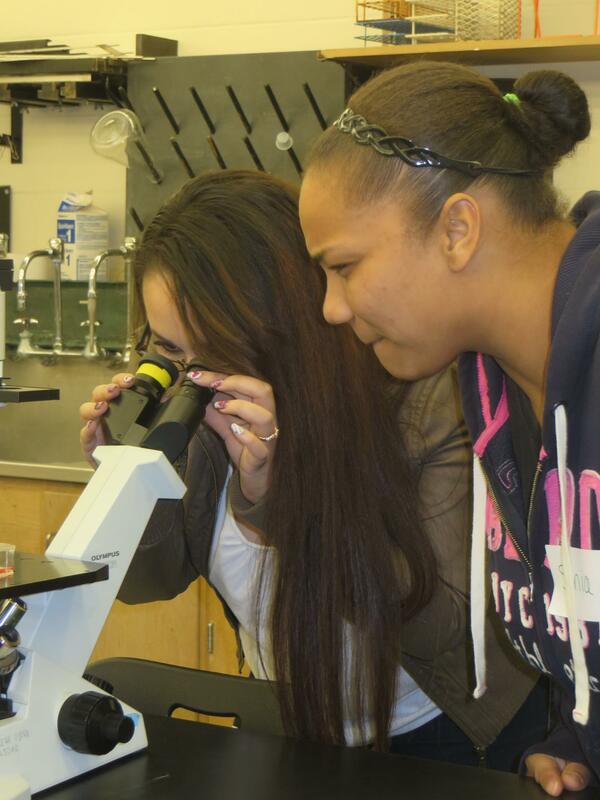 A student takes a close look at her slide to find different types of white blood cells. The Literacy Project-Amherst visiting Smith College on March 23rd, 2016. Jessica Morgan '17 works through a focusing problem with a student from The Literacy Project. The Literacy Project-Northampton visiting Smith College on December 9th, 2015. A pair of HCC-ALC students take a closer look at HeLa cell samples. 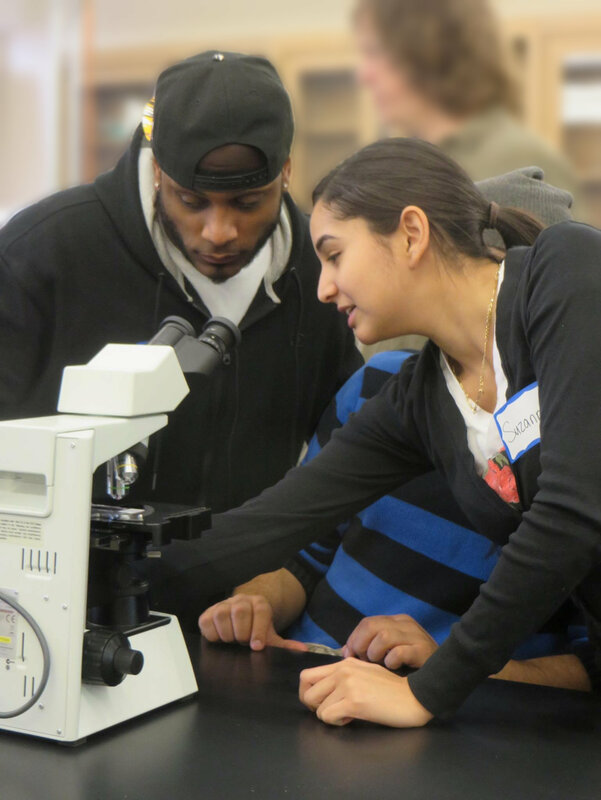 Holyoke Community College-Adult Learning Center visiting on December 1st, 2015. 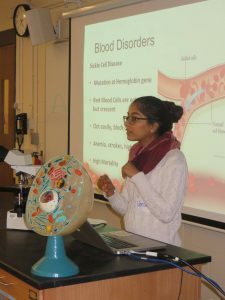 Varsha Subramanian '17 explains some of the more common blood disorders. 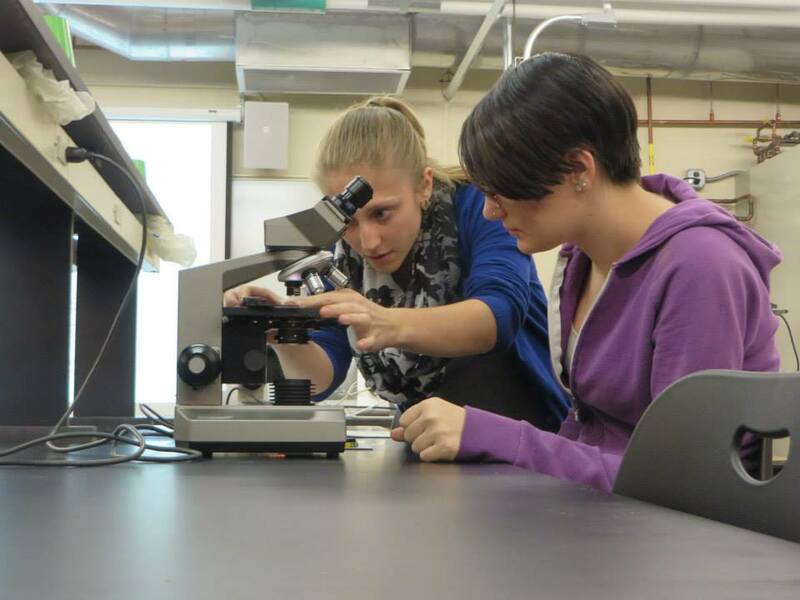 Holyoke Community College-Adult Learning Center visiting on November 11th, 2015. Amalia Driller-Colangelo '18 assists a student in setting up her light microscope. Holyoke Community College-Adult Learning Center visited Smith College on October 27th, 2015. A team of Smith students presenting the first HeLa Cell Program. 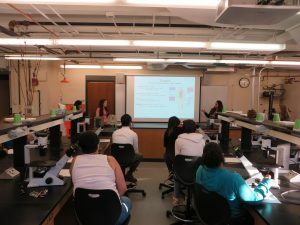 Holyoke Community College-Adult Learning Center visiting during May 2015. The visiting middle school students and their microscopy teachers. 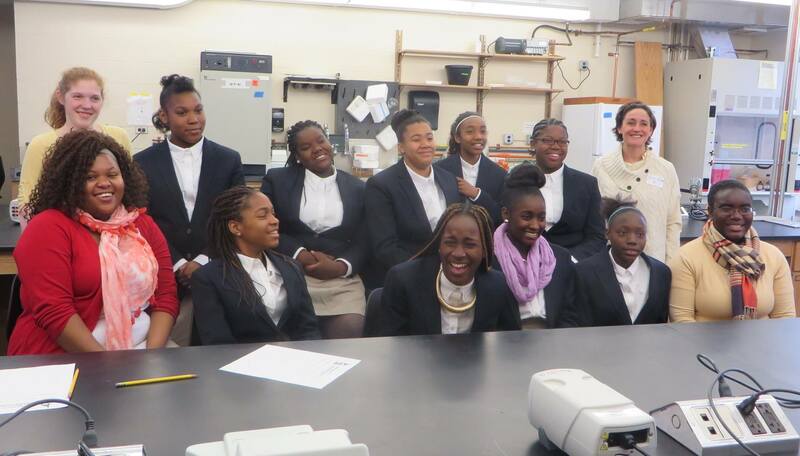 The Legacy Foundation in Hartford, CT, visiting Smith College on April 10th, 2015. 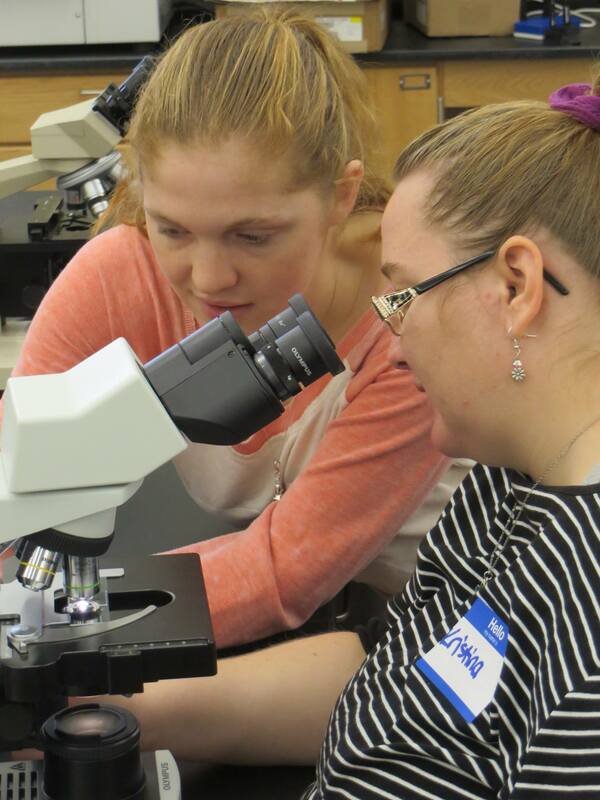 Allison Sirois '0GR helping a HCC-ALC student. Holyoke Community College-Adult Learning Center visiting on October 30th, 2014.